(VEN) - Rice has dropped from first to second place in the government’s priority farm produce exports due to the crop rotation policy. However, despite initial difficulties, rice exports have achieved breakthroughs in terms of structure and price and they are still a key, sustainable export. Vietnam produced 43.9 million tonnes of rice in 2018, up 1.2 million tonnes from 2017. Since the government issued Decree 107/2018/ND-CP to facilitate rice exports, Vietnam’s rice industry has made positive changes in restructuring, improving rice quality by introducing new, high quality varieties and increasing mechanization in production, preservation and refinement. While Vietnamese rice export prices have improved, the country’s rice export structure has changed to 51 percent white rice, 32 percent aromatic and jasmine rice, 12 percent glutinous rice and 5 percent Japanese Japonica rice. In 2018, Vietnam exported 6.13 million tonnes of rice (up six percent from 2017) at an average price of US$450 per tonne (up 20 percent compared to 2017), US$15 and US$40 higher than that of Thai and Indian products of the same kind. Vietnam exported rice to 150 countries and territories and has penetrated such discerning lucrative markets as the Republic of Korea (RoK), Japan, the US, and the EU. Rice prices are expected to increase on a consistent basis over the next four years. 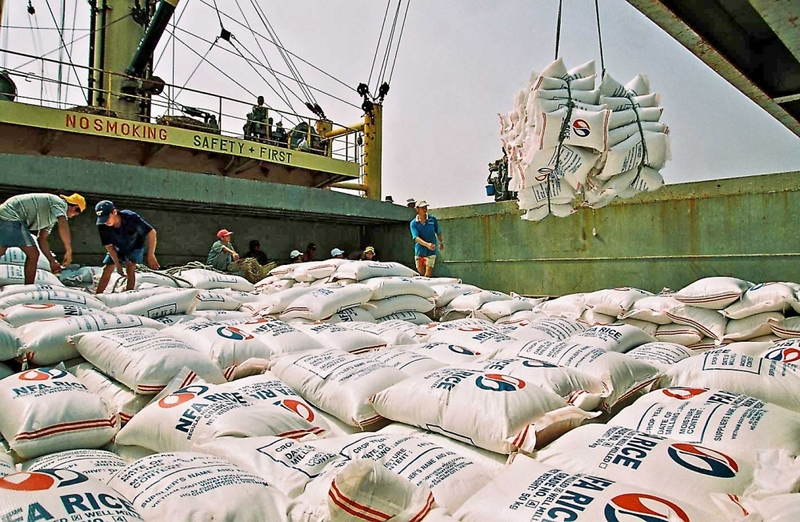 Competition will be tougher, as major rice exporting countries increase sales to foreign markets. India is expected to become the biggest rice exporter in 2019, followed by Thailand, Vietnam, Pakistan, Myanmar, and the US. In Vietnam, the number of government-level rice export contracts has decreased, while that of commercial contracts has increased. While importing countries prioritize international bidding, the rice industry needs to innovate and operate under the state-controlled market mechanism if it is to succeed. Vietnam targets a rice export structure of 25 percent average-quality white rice, 40 percent fragrant, special and Japonica rice, 25 percent sticky rice, and 10 percent rice with a high value-added. The state, farmers and businesses need to make strenuous efforts to reach the target. It is crucial to upgrade quality-oriented rice management and production policies, improve the quality of rice through seed development, and develop rice branding.